distinctive AMW characters and other costumes. 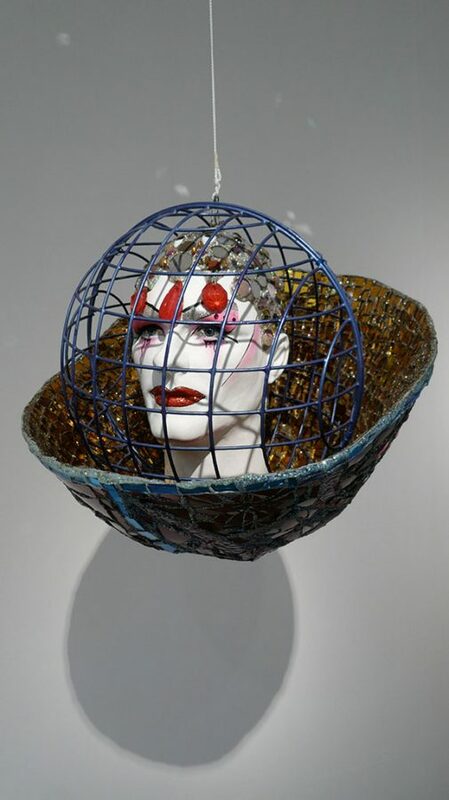 Made of resin, wire mesh, glass, found objects, fibreglass, beads, plant basket, metal sheet, faux eyelashes, and acrylic paint. Shown at “Andrew Logan – An Artistic Adventure” (2008) at The Gallery, Ruthin Craft Centre and “Shonky: The Aesthetics of Awkwardness” at the Hayward Touring Gallery.